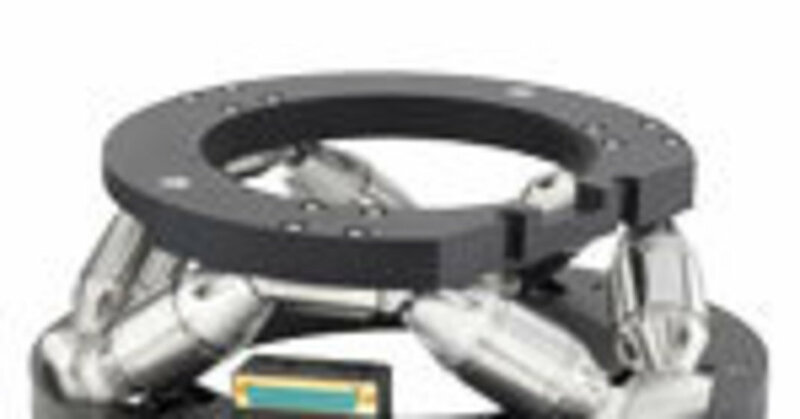 Medical engineering and life-science disciplines have multi-faceted requirements for motion and positioning equipment: the spectrum spans from ultrasonic transducers to simple low-energy drive components to high-precision positioning systems and ultra-fast actuators for valve and pumping applications. 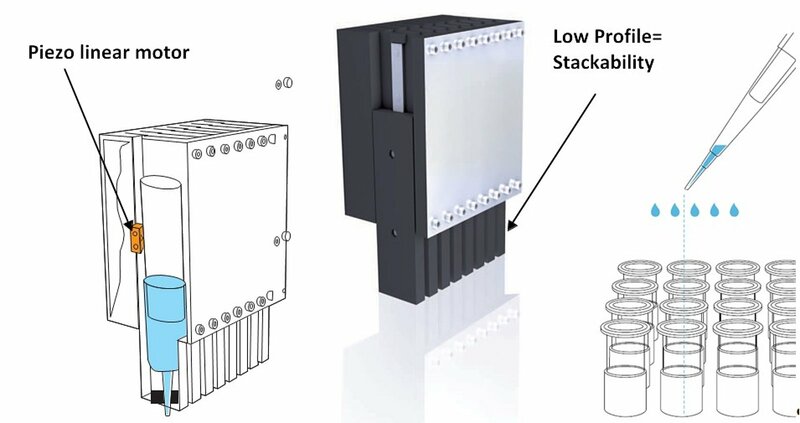 Piezoceramic transducers and motor drives meet these needs and have a long track record of reliability and ruggedness in industries such as semiconductor manufacturing and optical technologies. In fact, PICMA® piezo actuators were selected for the Mars Mission after passing 100 billion cycles of life testing with zero failures. Micro-diaphragm pumps require miniaturized drive mechanisms which can provide a continuous ﬂow and variable ﬂow rates. The small volumes per pumping cycle mean high drive frequencies in the 10’s of kilo Hertz range to achieve high ﬂow rates. 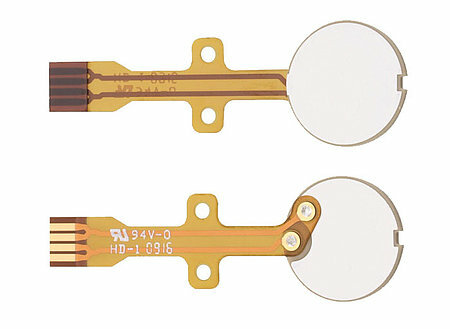 Disk-shaped piezo transducers can be integrated with the diaphragm. 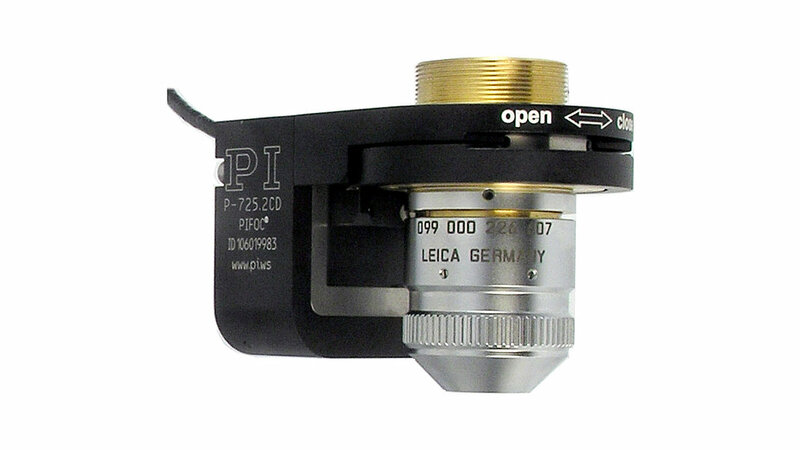 For larger forces or extensions, a piezo linear actuator can be coupled directly with a diaphragm or a piston. 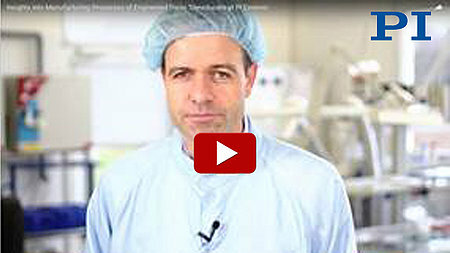 The continuous, slow motion of infusion pumps can also be generated with piezo drives. Micro-dosing valves for nanoliter, or even picoliter, droplets rely on very fast actuation. Piezo-actuators are used in several types of drives: they can operate valves directly, or work against strong springs or a ﬂexible tubing for to displace liquid volumes. Generally, the faster a valve can be opened and closed, the smaller the volume that can be controlled. Frequencies in the kilohertz range are desirable and piezo actuators provide faster response than electromagnetic drives, such as solenoids or voice coils. The high kinetic energy produced by piezo mechanisms can generate ultra-small droplets without subsequent dripping, nebulization or satellite formation. For drop-on-demand methods similar to ink jet technology, piezo tubes that contract radially when a voltage is applied are available. 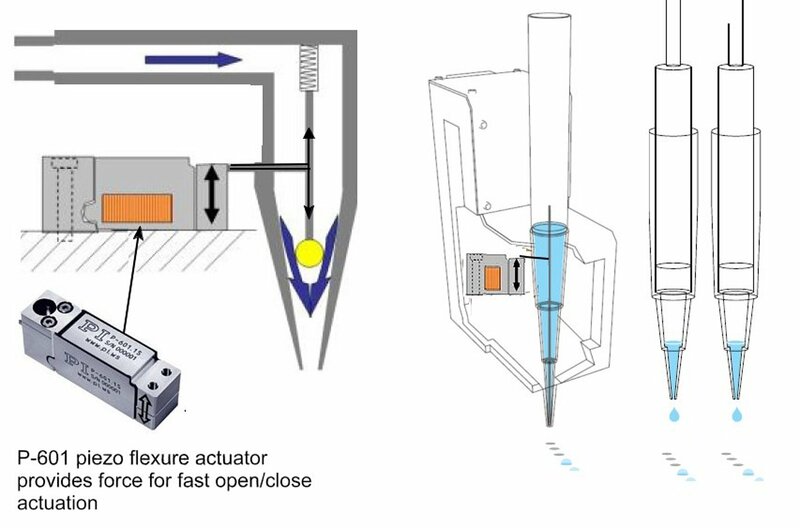 Valves requiring larger strokes can be implemented by piezo flexure actuators with integrated motion amplifier. 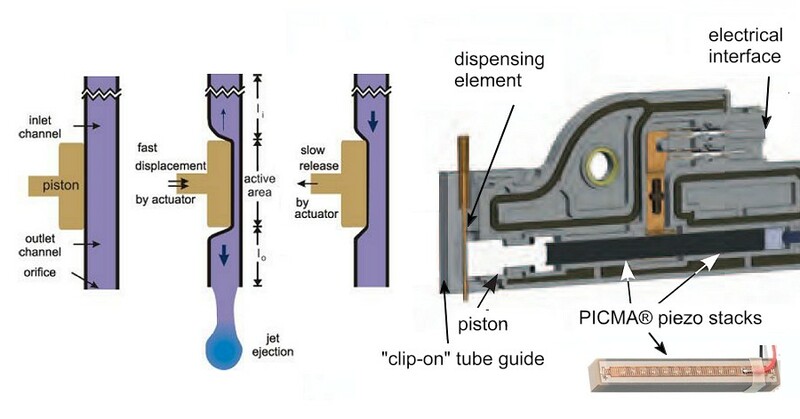 Another principle is the direct displacement method used in PipeJet™ dispensers, based on an elastic polymer fluid line with a thin internal diameter driven by high-force PICMA® piezo stack actuators. Since the tube and piezo drive are separated, maintenance is easy and any parts contaminated by fluid can be replaced quickly and cost-efficiently. Outpatient therapy often relies on mobile drug pumps for various applications, such as pain therapy, oncology, parenteral nutrition as well as metabolic disorders. Mobility not only improves the quality of life, it also reduces therapy costs as the patients do not require treatment at the hospital. Conventional mobile drug pumps have limitations when it comes to flexibility, size, weight, and reliability. 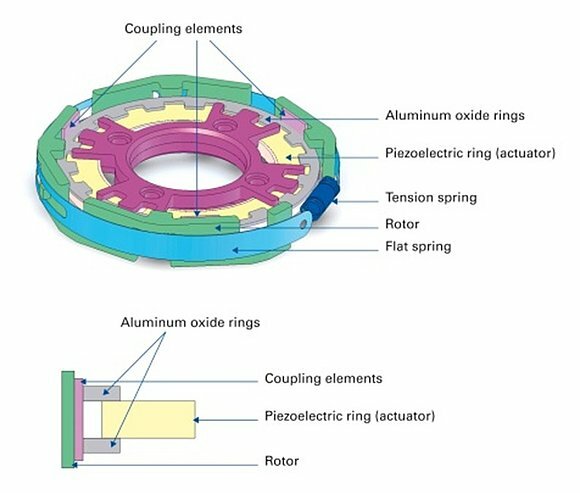 Recent advances in drive systems, based on piezo ceramic motors, can help overcome these limitations and open up new opportunities for medical device manufacturers and patients as well. 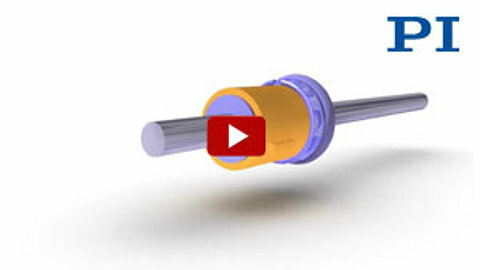 The concept of compact, mobile drug delivery, often involves balloon pumps. But they show significant inconsistencies in the medication delivery rate and lack the ability to document the exact injection amounts. Since “mobile” patients are usually not in the hospital, there is no trained personal to precisely monitor the course of therapy. The physician needs accurate information for a successful treatment. Therefore, a pump system is required which also allows for exact traceability of medication quantities vs time outside the hospital. For such cases, peristaltic pumps are currently the best solution. However, due to their considerable weight and size, these pumps severely restrict the patient’s mobility. They do, however, allow for a precise dosage and programmable, timing and volume flows. The peristaltic pumps are suitable for various medications, as they deliver a continuous flow (basal rate), but even special injections (bolus rates) are also easy to dose and can be scheduled in any manner. In addition, all procedures can be documented to evaluate specified drug quantities and the course of therapy and to submit relevant data to insurance providers. Except for mobility, peristaltic pumps combine all desired requirements – however, the motors employed in these pumps leave room for improvement. Small electric motors with gear-box torque multipliers can generate the necessary torque required for pumping, but they are slow and their mechanical micro-gears are prone to backlash and wear, requiring maintenance and lacking reliability and cost efficiency. If a gearless electric motor is used, a larger drive is required to provide the torque, but the self-locking feature of the gear box is lost and electric current is required to retain a stable position when at rest, which can impact battery life. 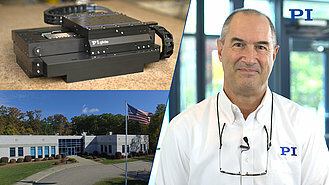 Piezo-based ultrasonic direct drives can open up new opportunities here. They are quiet, very compact, low-wear, and self-locking, maintaining their position when powered off and even if they are dropped, hit or shaken. 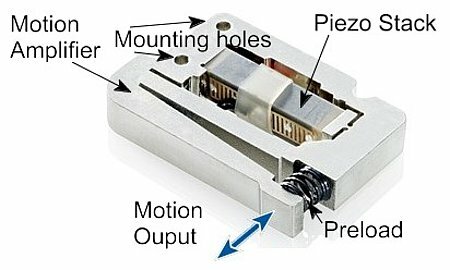 It is easy to understand how these compact piezo drives work: oscillations with ultrasonic frequencies of a piezoceramic plate are transferred to a moving runner in a linear or rotary motion. The core piece of the drive is a monolithic piezo ceramic (stator), with two electrodes. Either the left or right electrode is electrically excited, in a range of 100kHz or above, determining the direction of motion. Each oscillation moves a coupling element attached to the piezo ceramic by a few nanometers. 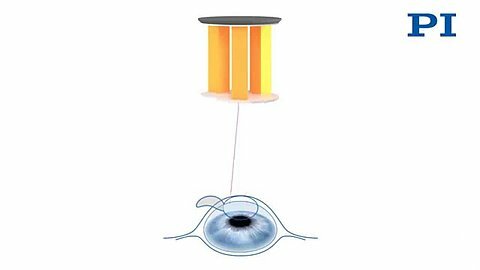 In contact with the runner, the net result of the micro impulses is high speed motion with very high precision. The drive electronics can be integrated as a chip and requires very little installation space. 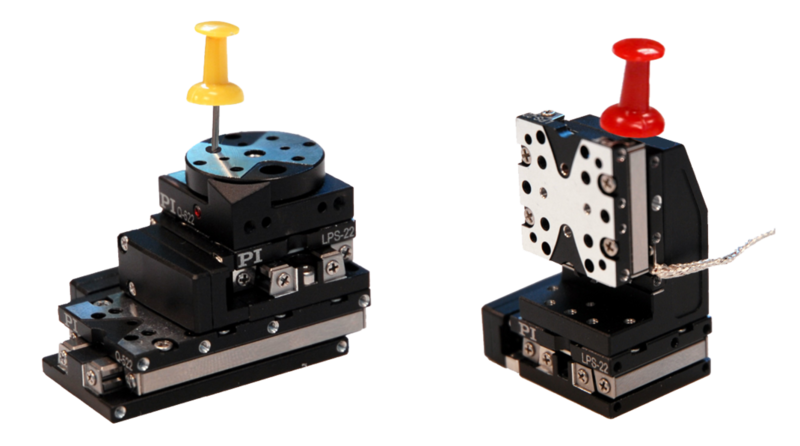 In addition, the solution is extremely low-wear and reliable, as there are few mechanical components, such as gears. A very wide speed spectrum allows for a large spread of dosages. Depending on the design, dosages can be made from a few degrees up to several revolutions per second, or, in the case of linear drives, from <1mm/sec to several 100mm/sec. As liquid volumes fall and micro well counts go up, miniaturization of the drives is required along with higher precision for dosing smaller volumes. 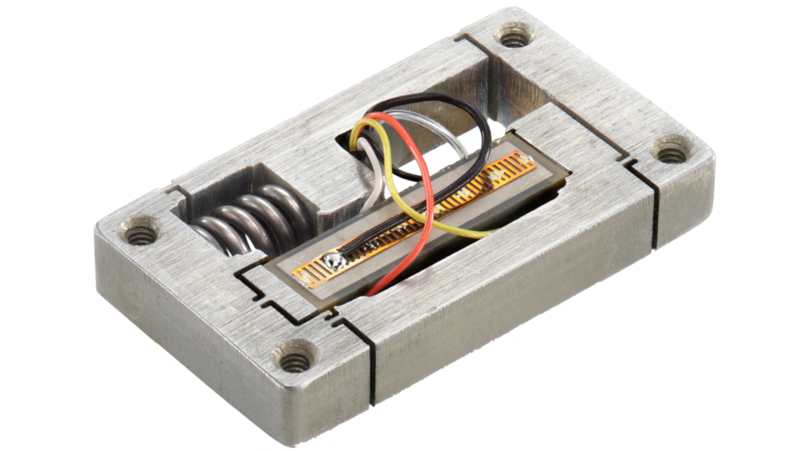 Piezo linear motors can be manufactured small enough to meet these requirements, providing uniform speed and force along with positioning accuracy in the micrometer to nanometer range. 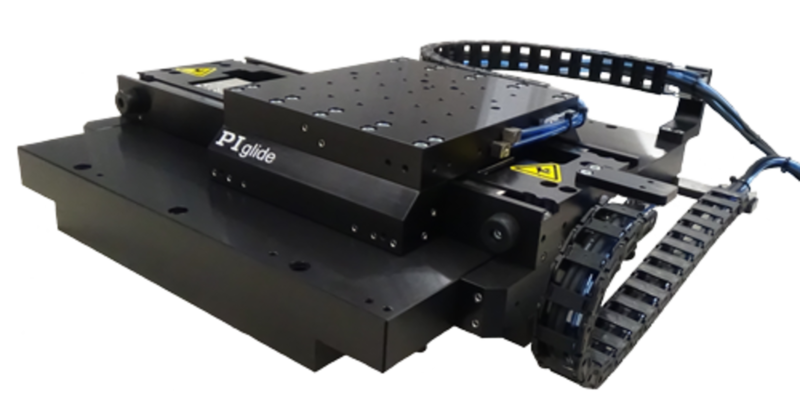 The significant reduction of moving components compared to conventional motor/screw drives reduces the size and increases the reliability. Atomizers can deliver medication highly efficiently to the respiratory tract. 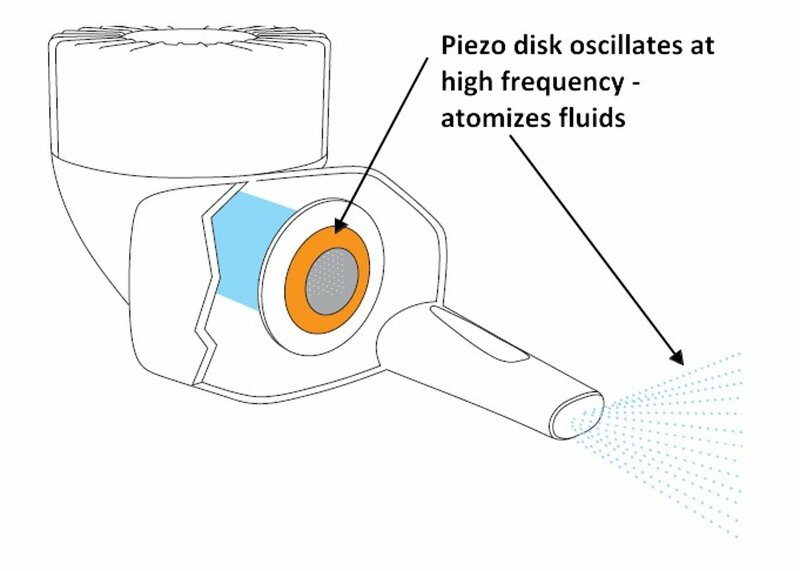 The homogeneity of the aerosol is critical and piezo-transducer driven membranes oscillating at high-frequency in the ultrasonic range can produces droplets of a predeﬁned size. Ultrasonic piezo transducers can be used to detect bubbles or impurities in dialysis or blood transfusion applications. The direct and inverse piezo effect allows transducers to work as both sensors and actuators (ultrasound detectors and transmitters). There is no direct contact with the fluids and no need for maintenance. 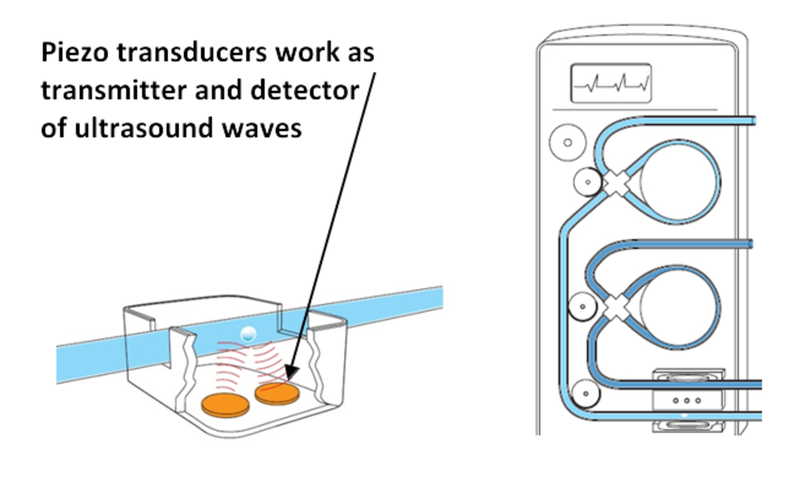 The piezo transducers can both measure the ﬂow velocity and detect bubbles. 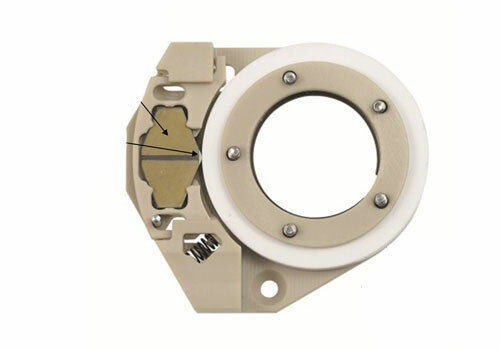 Piezo drives have many additional ﬁelds, for example, laser beam control in cosmetic applications and ophthalmology, as focusing drives in endoscopy or precision shutters for radiation therapy. Piezo ceramic motors do neither create nor are they susceptible to strong magnetic fields. Multi-leaf collimators are used in tumor treatment to reduce side effects of the radiation beam to healthy tissue. 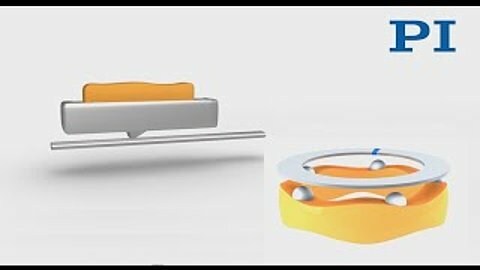 Piezo drives are very compact and allow tighter packaging, leading to an increased leave count and better adjustability of the contour which means higher protection for the patient. 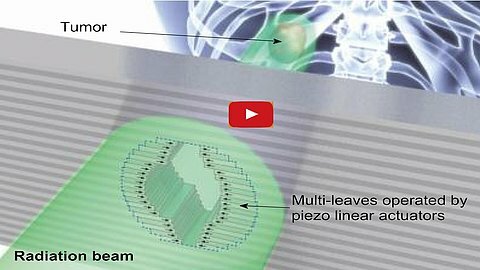 Piezo linear motors can be tightly packaged to control the leaves in a multi-leaf collimator for radiation treatment. 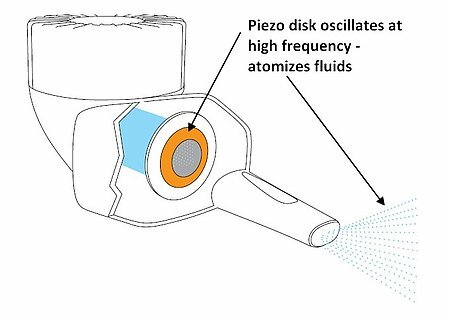 Piezo technology (transducers, actuators, and motors) provides advanced solutions to many motion, dosing, measuring and positioning problems. Piezo elements convert electrical energy directly into mechanical energy and vice versa. The piezo effect is based on crystalline displacements, with no friction and physical wear. Piezo ceramics are sterile, require no lubrication and can be baked at high temperatures. 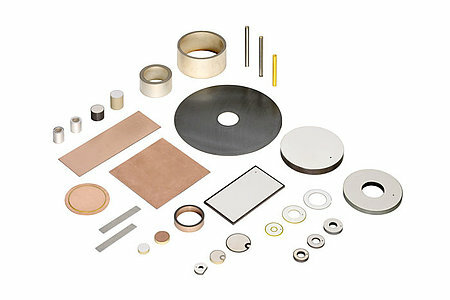 Piezo products are inherently vacuum compatible and non-magnetic – all ideal prerequisites for bio-medical applications. Insights into piezo transducer manufacturing processes at the PI Ceramic factory.